I listened to this book while following along on my Kindle. I'm one of those who needs to see the words on the page and only listen to audiobooks when I need to put my book down and go somewhere or do some tidying up around the house. It's a good way to stay in the book and get something done at the same time. Anyway, THIS audiobook was more like a performance than a reading. The narrator did an excellent job with all the voices, all but the Latin lady in the bar, who had a bit part near the end. Her accent sounded more Asian than Latin. 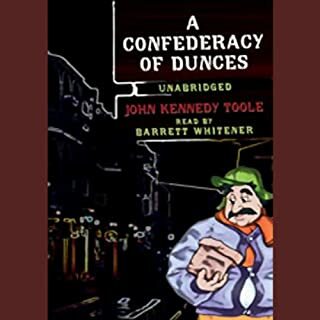 Other than that, the narrator really captured the characters. Laughed out loud so many times. Love this audiobook! Would you consider the audio edition of Food: A Cultural Culinary History to be better than the print version? I love the audio editions of these courses, but would love to have access to some printed materials to go along with it. I thoroughly enjoyed all the chapters. Some of the stand outs included the chapter on how agriculture and food gathering gave rise to civilization; the section on food in Greece and Rome, and the first cookbooks; the section about food in the Muslim culture, how animals must be humanely killed and a prayer said over them, basically thanking them for sustaining humans by giving up their own life; and the section on French cooking. I really like the way he explained GMOs, making the science simple and easy to understand. Prof Albala also did a great job wrapping up the course with "food for thought," discussing what the future might bring in an world whose resources are dwindling and whose population is growing. What does Professor Ken Albala bring to the story that you wouldn’t experience if you just read the book? Prof Albala is an exceptional narrator and storyteller. Very knowledgeable and enthusiastic. He really pulls you into the story. And he has a great sense of humor. You never get bored. No. Not that it wasn't riveting. It's just that it is very, very long, more than 30 hours. And it was packed with a ton of information, giving an overview that begins with hunter-gatherers, on through to the various ages and cultures, and closing with present food trends and what the future might have in store. I usually listened for 2 or 3 hours at a time and then had to stop and digest the information. I wrote down some of the names of the people and cookbooks he mentioned so that I could do further exploration later on the topics that interested me most. 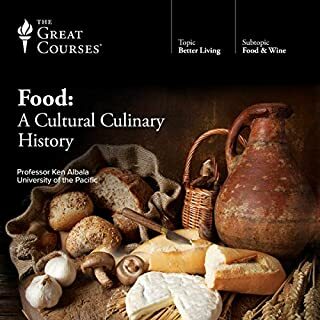 If you love food and you love history, you will love this course. I'm a huge fan of the Teaching Company and have purchased about 20 courses from them and Audible over the years. This one ranks up there as one of my top 3 favorites. First, the story itself is just brilliant, and laugh-out-loud funny in parts. But Patrick Tull's reading really makes the story come alive, using a variety of different voices and accents. 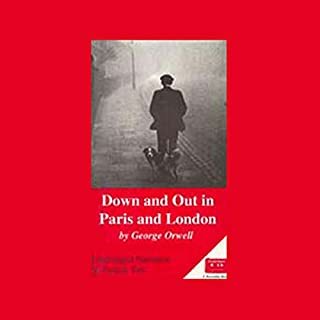 He's a very expressive reader, so you really get a lot of the emotion that Orwell intends in his prose. I loved the Russian accent that Tull uses for the character Boris. He's got it down pat. This is a good audiobook for you if: 1.) you're an Orwell fan, 2.) you're a foodie, 3.) you read A Moveable Feast and would like to get the other side of the story, or 4.) you simply enjoy a good story read well. Btw, I did follow along with the actual book because I enjoy seeing the words as I hear them. But hearing Tull read along made the story much more theatrical. There were times I actually put the book down for a few moments and just listened to Tull's wonderful reading. This is the story of the unhappy family of Anna Karenina. The novel contains much concerning Tolstoy's spiritual crisis and his search for the meaning of life. But it is also chiefly about marriage, and the growth and death of love. 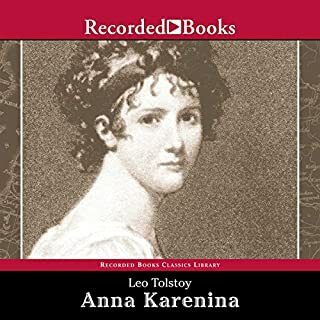 Davina does a fantastic job reading this Tolstoy classic. My only complaint is that there are quotes from the book that are in French and she reads them in French without an English translation. 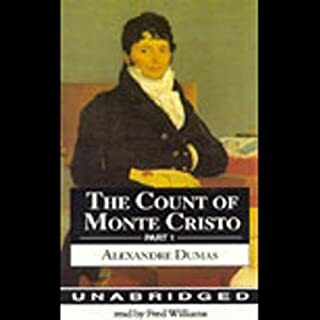 I listened to this audio along with the book (Penguin), which is a slightly different translation, but it was very helpful to read the footnotes in the book and also the listing of character names, since Russian names can be tricky, especially when the same character can have up to four versions of a name. Good story, read very well, and stays with you for a long time afterwards. Emma Bovary is not content to be the mere dutiful wife of a French country doctor. She yearns for excitement and a sense of romance that pulls at her so strongly she is powerless to resist, even though pursuing her dreams will exact a terrible price. Learn why Gustave Flaubert's compelling heroine has enchanted and puzzled readers for centuries. 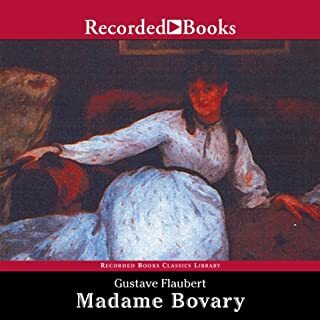 Madame Bovary is a great story and Davina is a fantastic reader (she's great in Anna Karinina),but unfortunately they are both lost to poor sound quality. The audio is so muffled it takes a lot of effort to understand even a few words. Until a better recording is available, best stick with the book (a good translation is available on Barnes & Noble or Bantam Classics, but avoid Penguin Classics on this title; it's not very good).